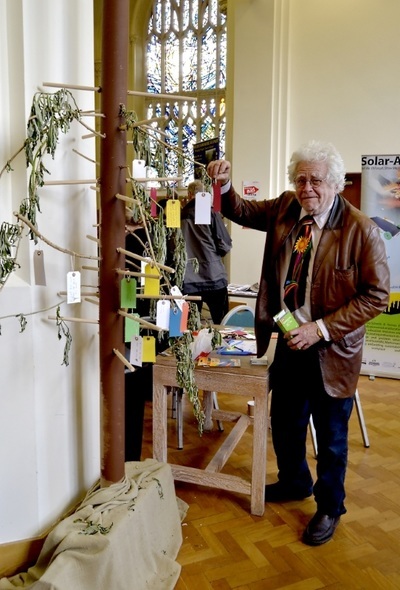 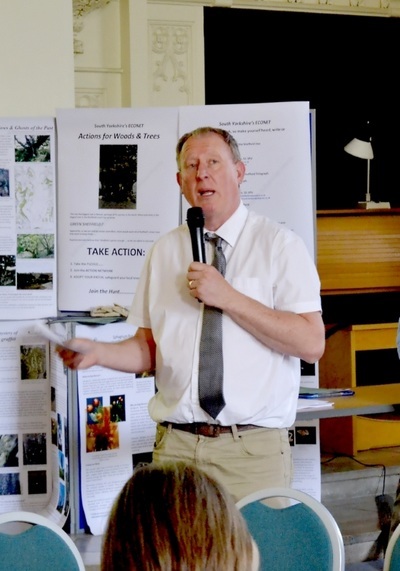 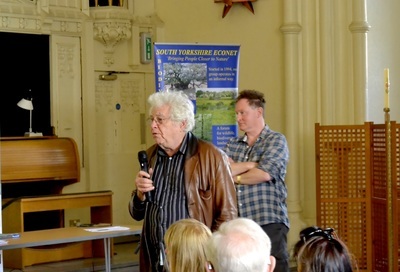 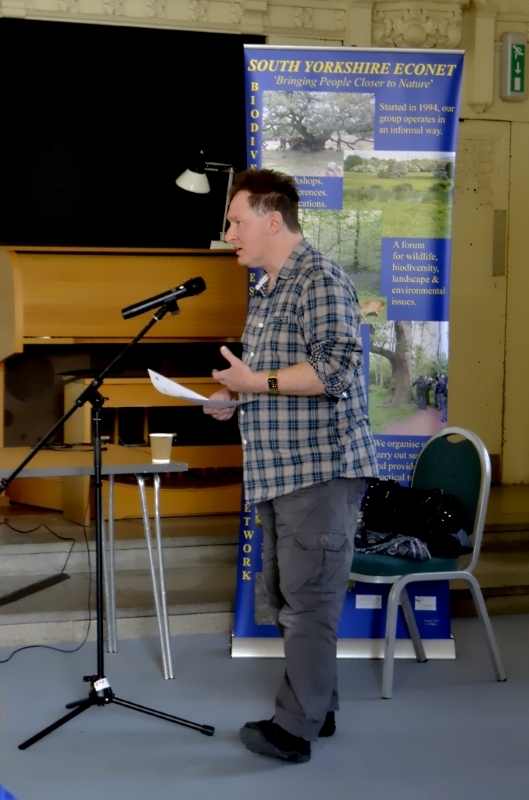 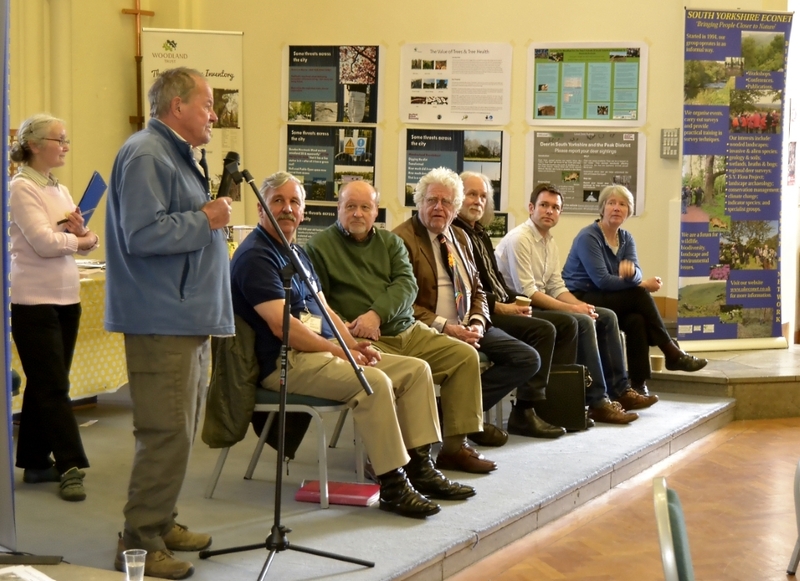 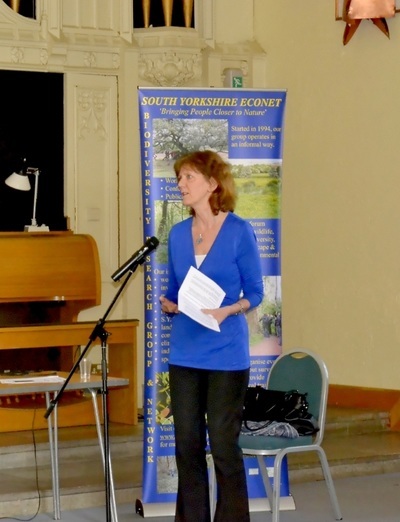 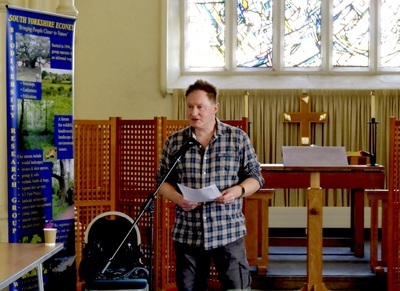 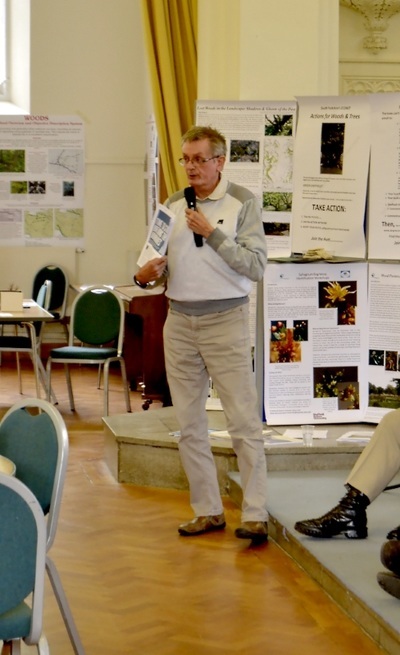 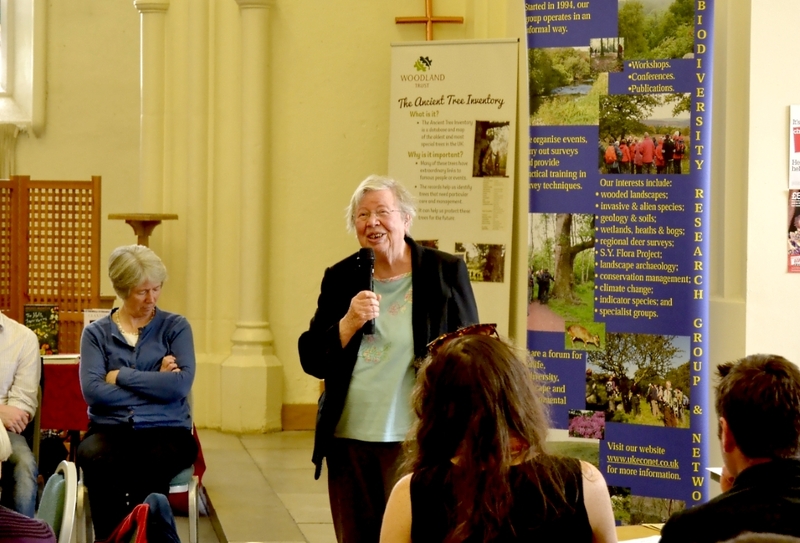 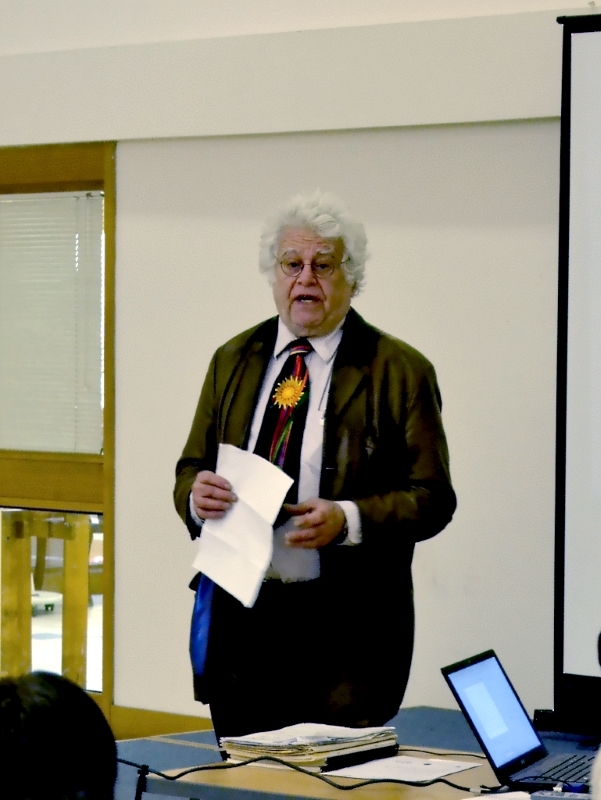 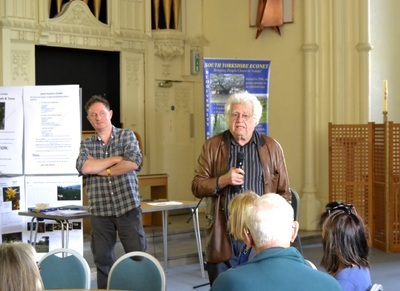 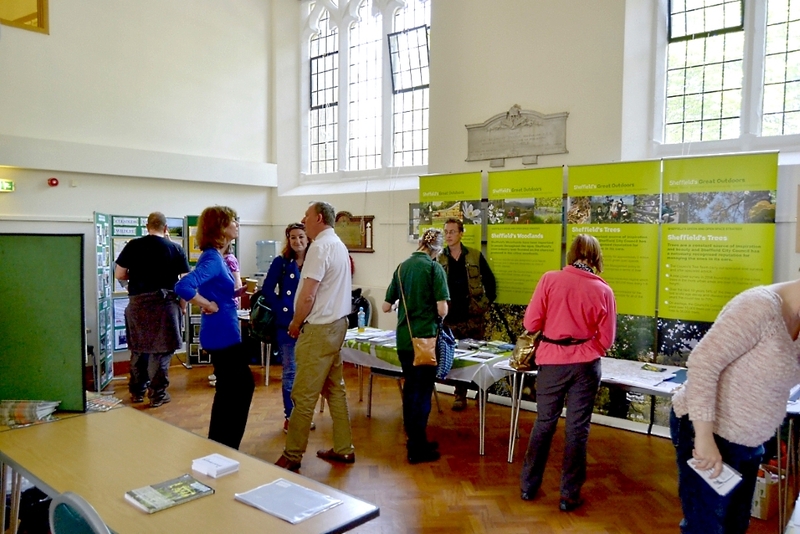 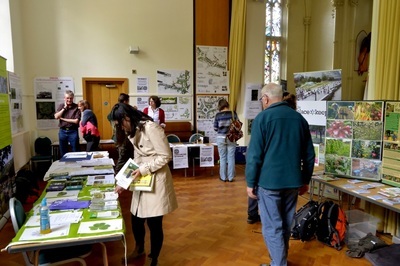 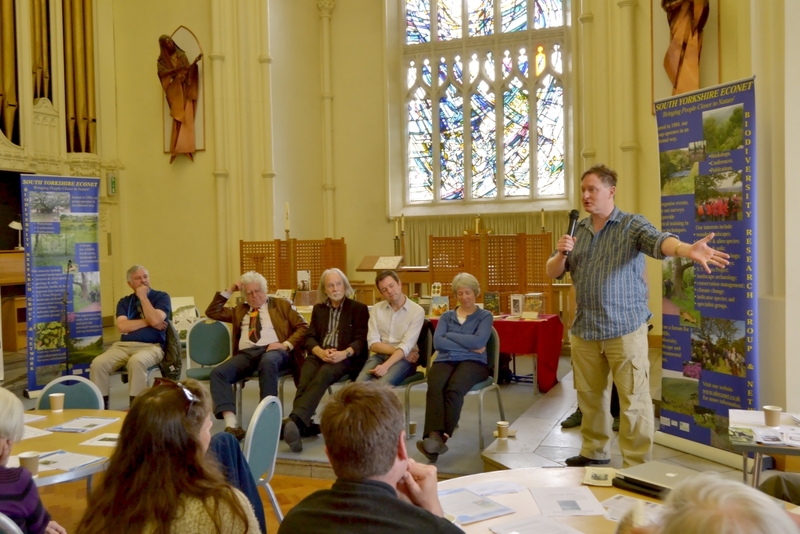 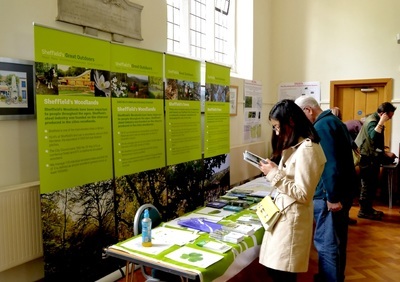 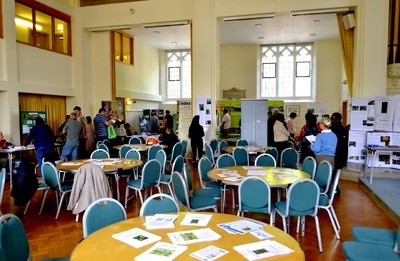 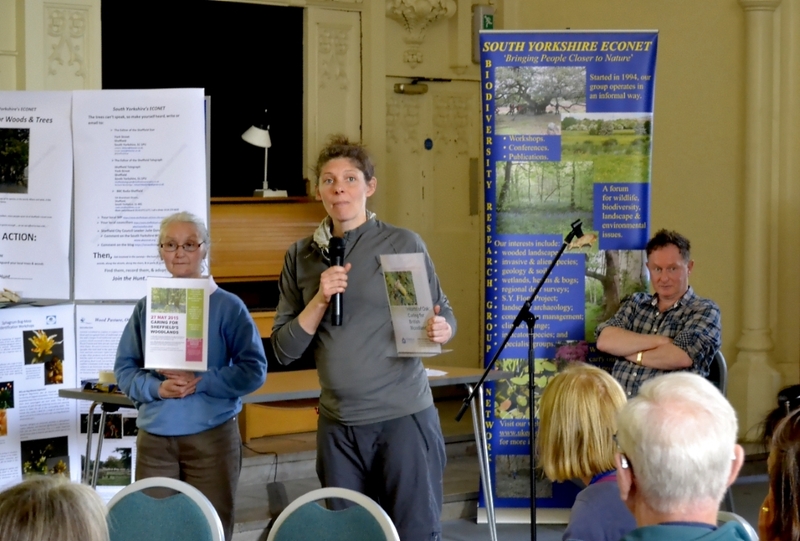 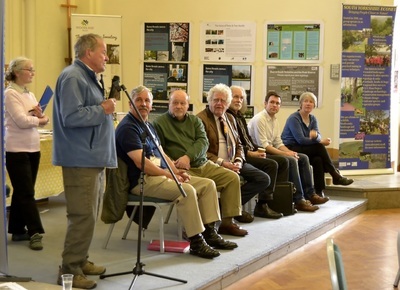 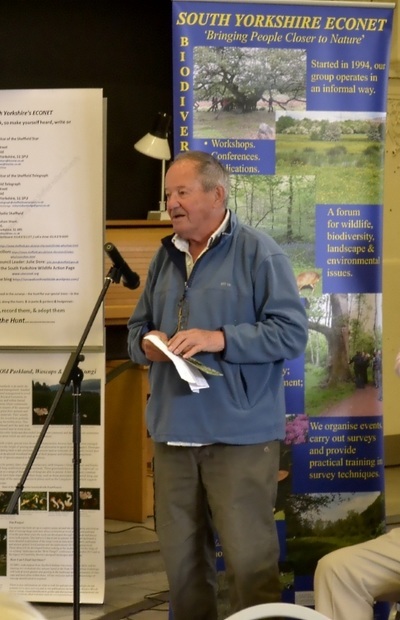 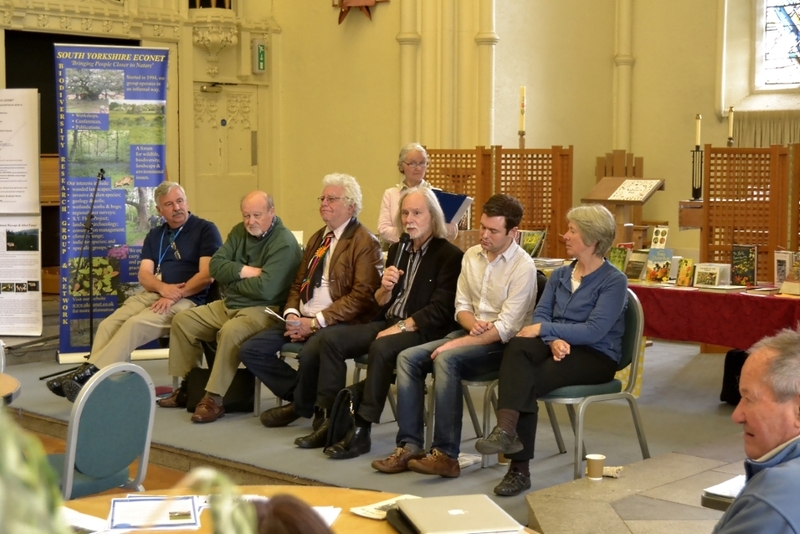 This was major community event with numerous partners including the Ancient Tree Forum, solar-Active, the Green Party, the Woodland Trust, Sheffield Hallam University, and the South Yorkshire Biodiversity Network. 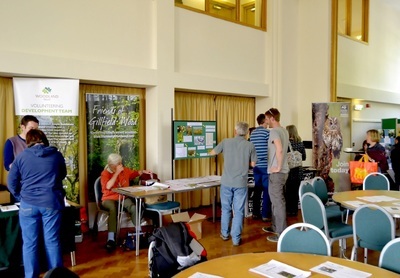 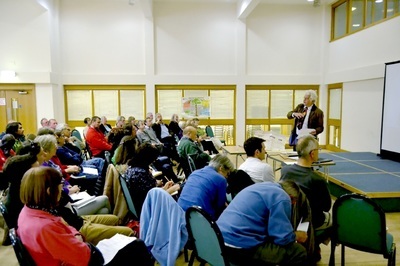 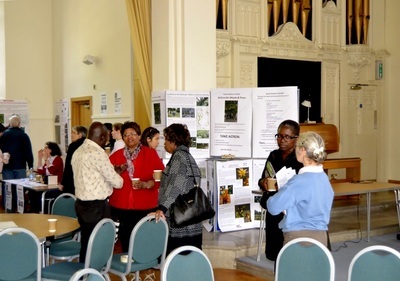 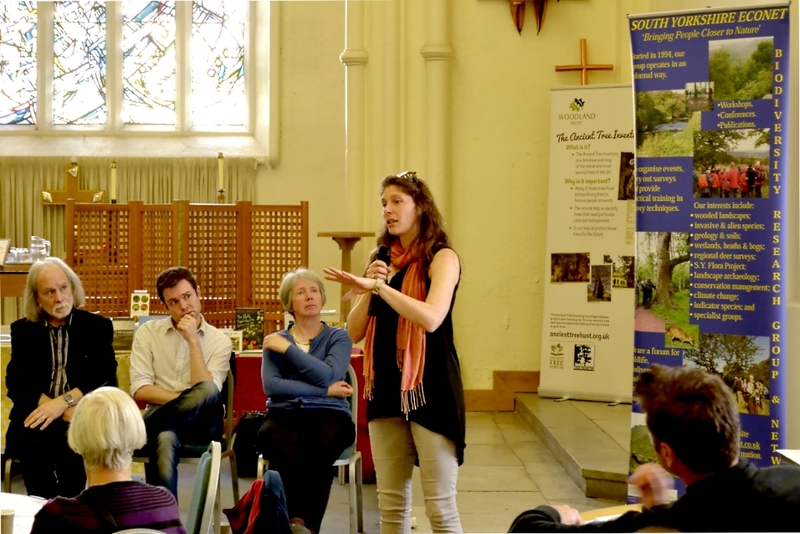 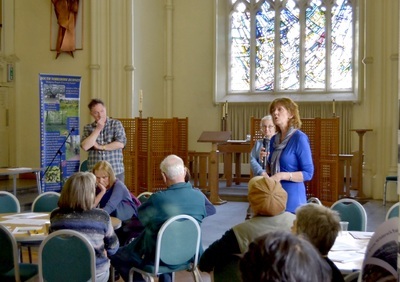 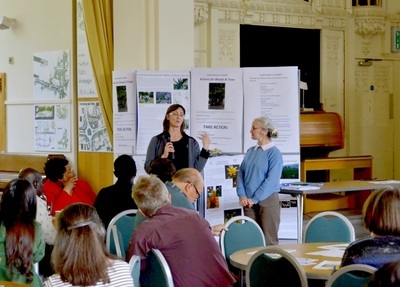 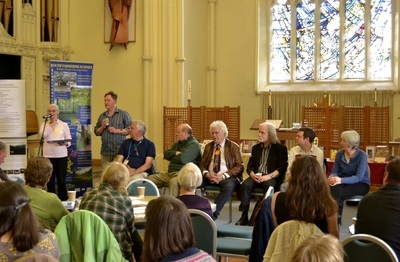 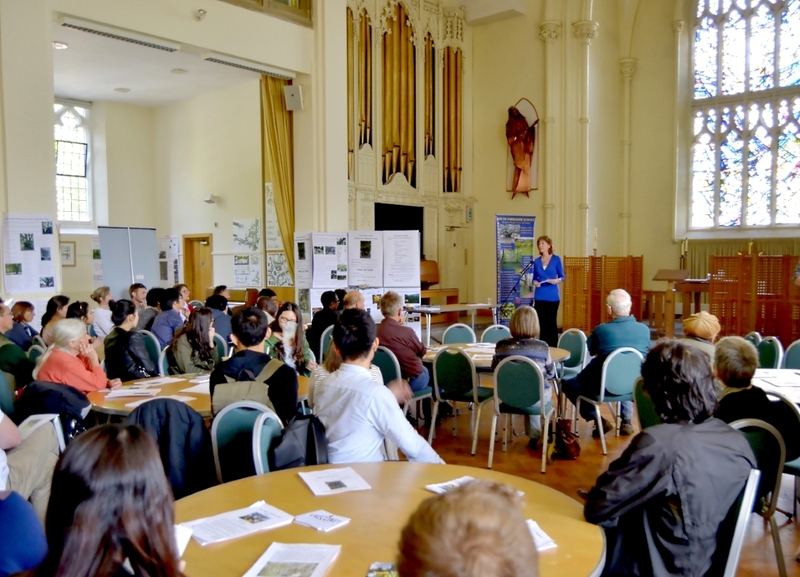 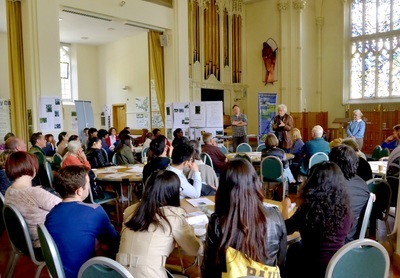 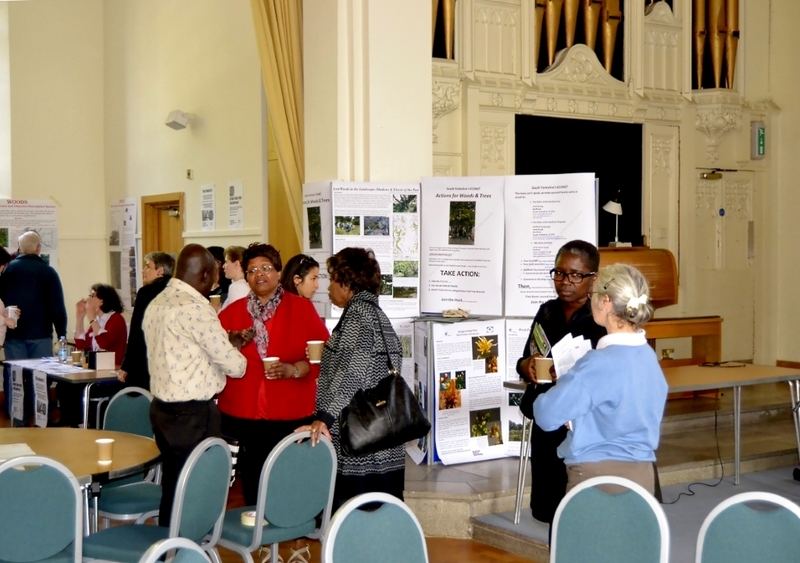 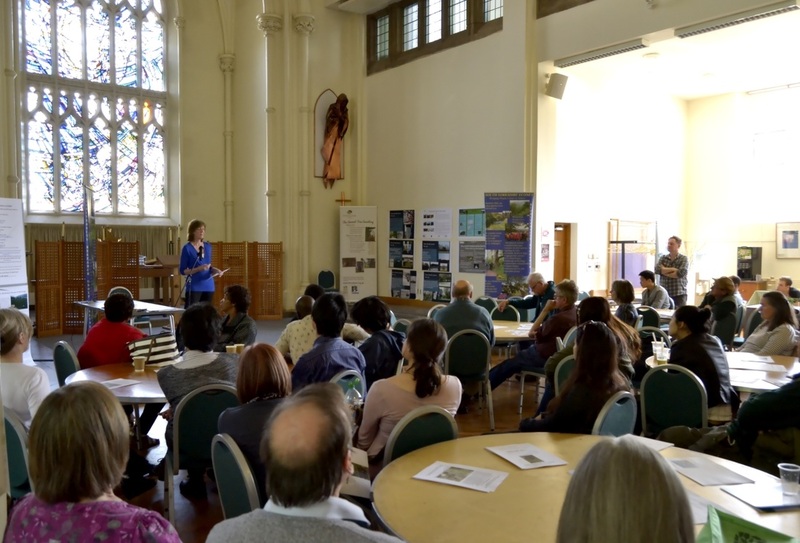 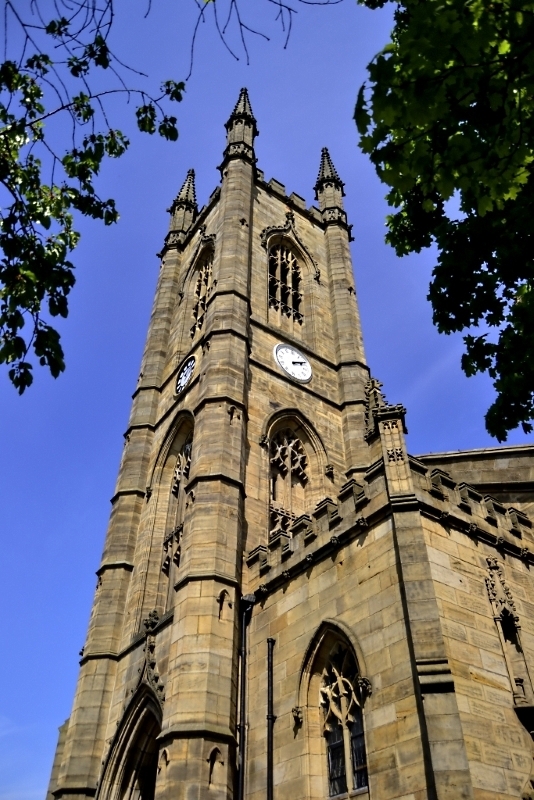 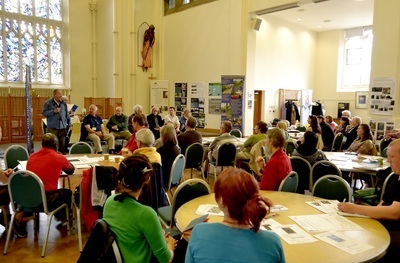 It was organised as part of Sheffield Environment Weeks 2015 to provide a forum and establish a network of groups to take forward ideas around the need to value and manage our treescapes sustainably for future generations. All relevant local community groups were invited to bring displays or other information about local trees and treescapes, and to share their experiences and highlight importance to their particular neighbourhood and was a chance to celebrate trees and woods and also to share worries and concerns about their future at the well-attended event.​ Friday afternoon was a networking event where, after an introduction, local groups talked about and showcased their projects. 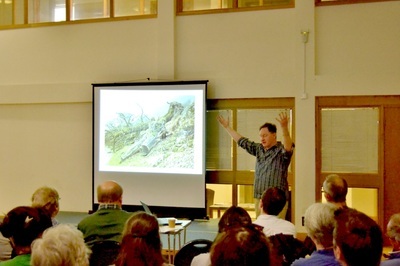 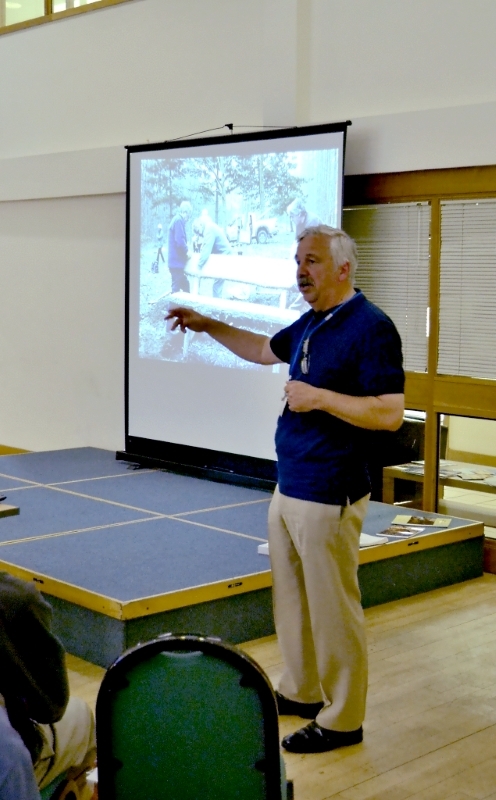 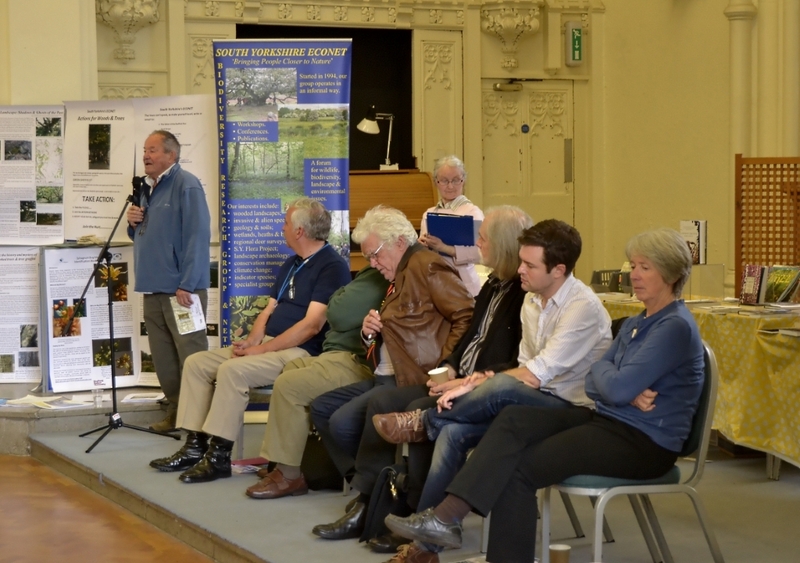 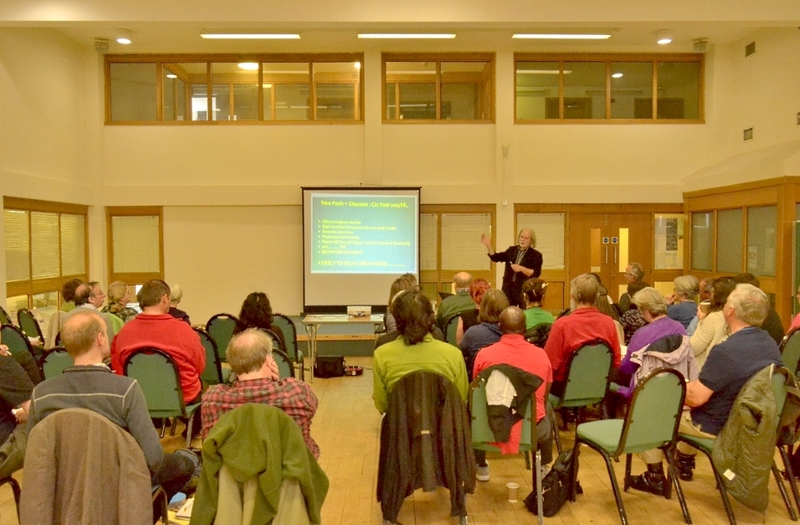 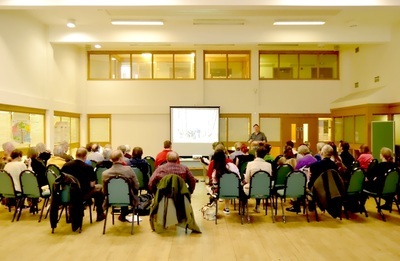 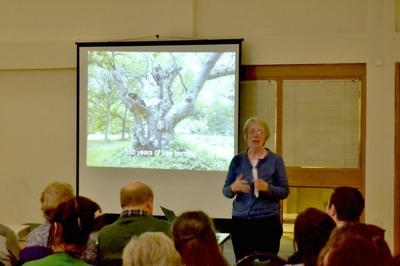 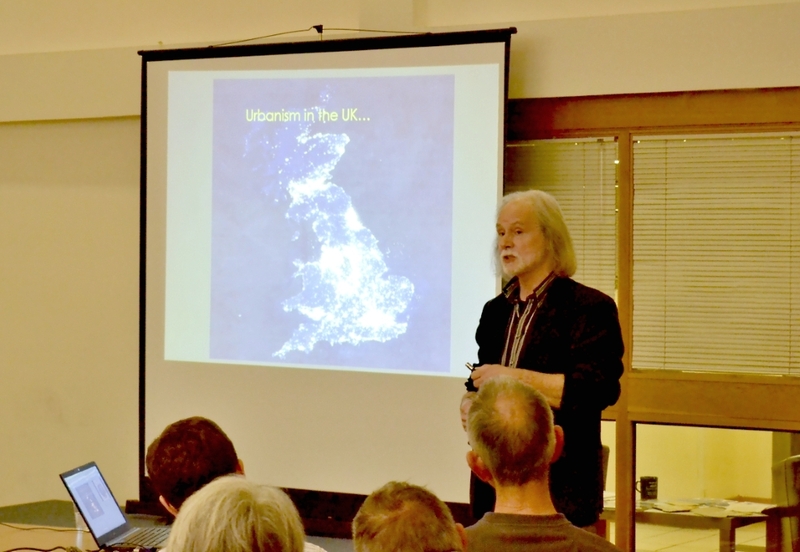 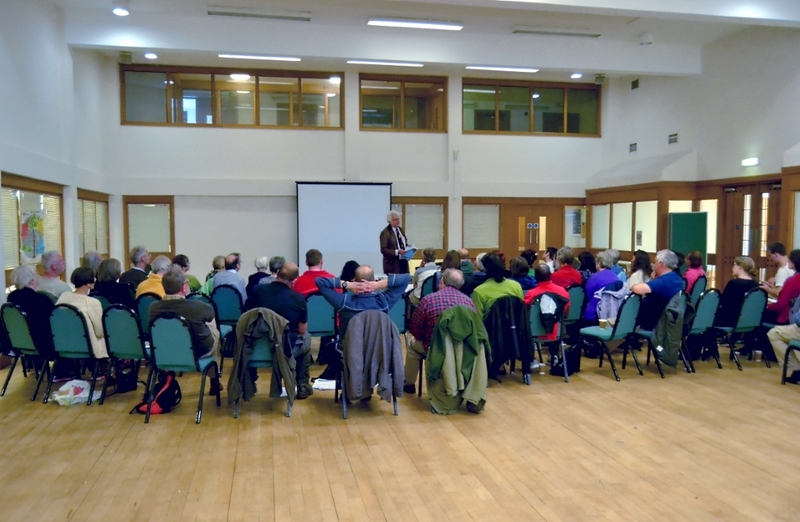 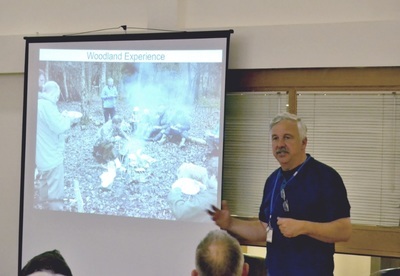 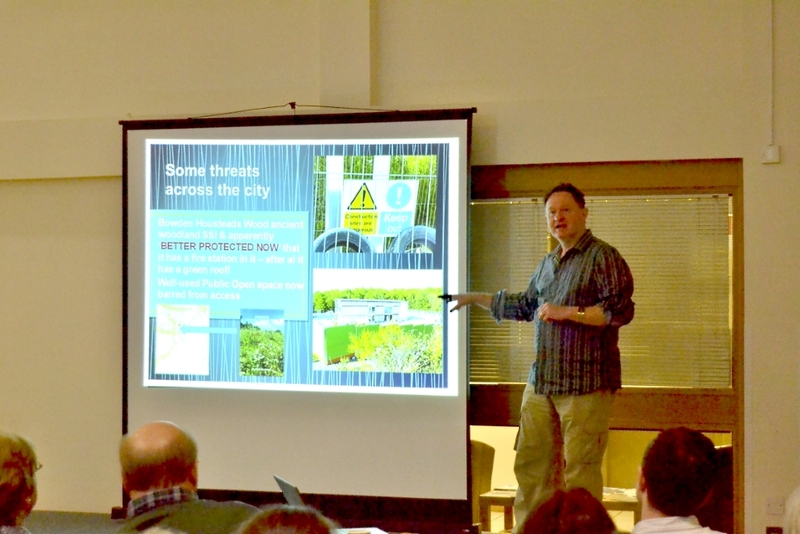 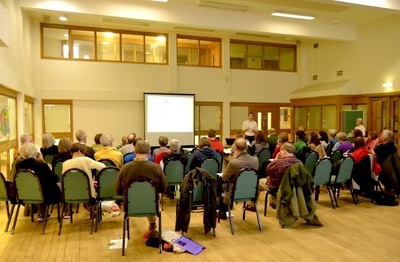 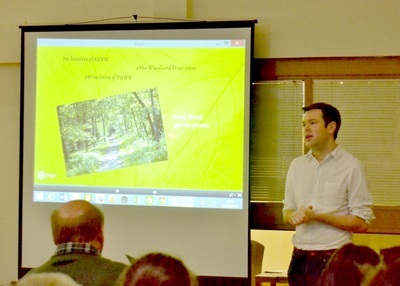 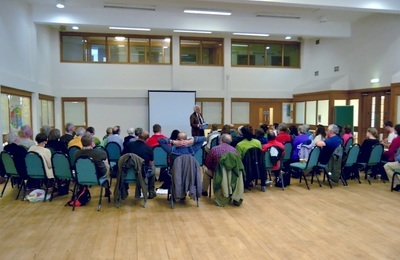 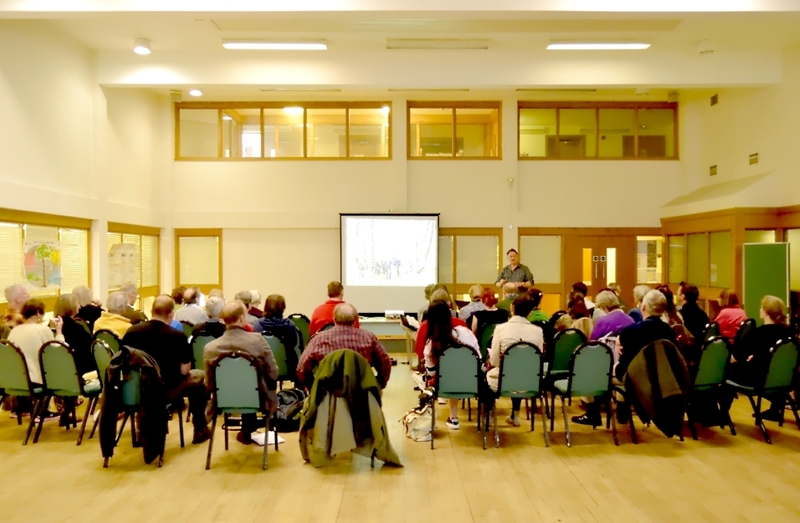 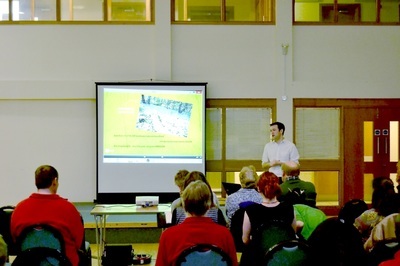 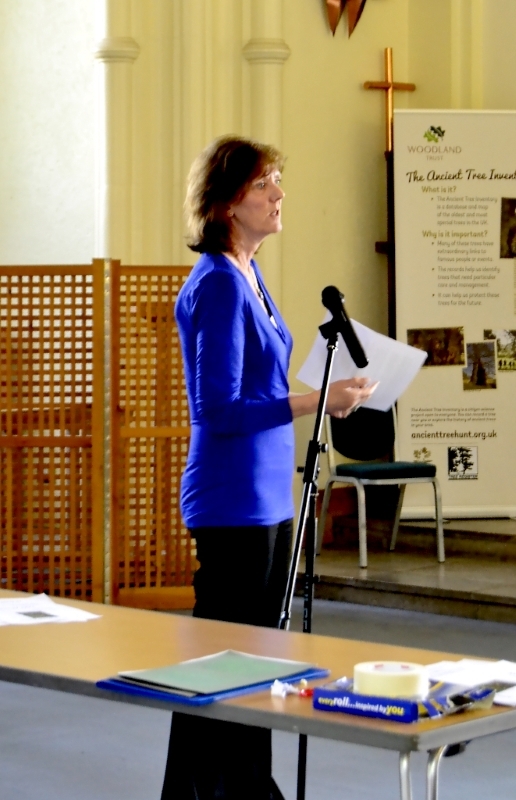 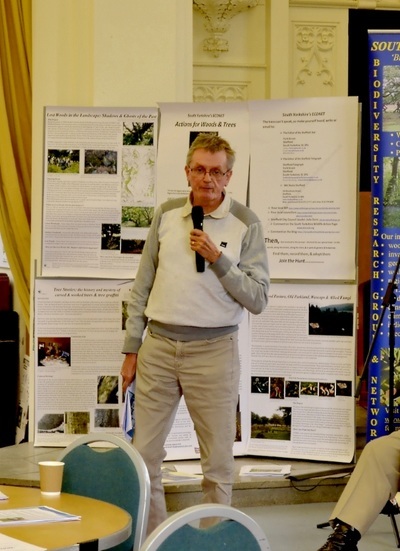 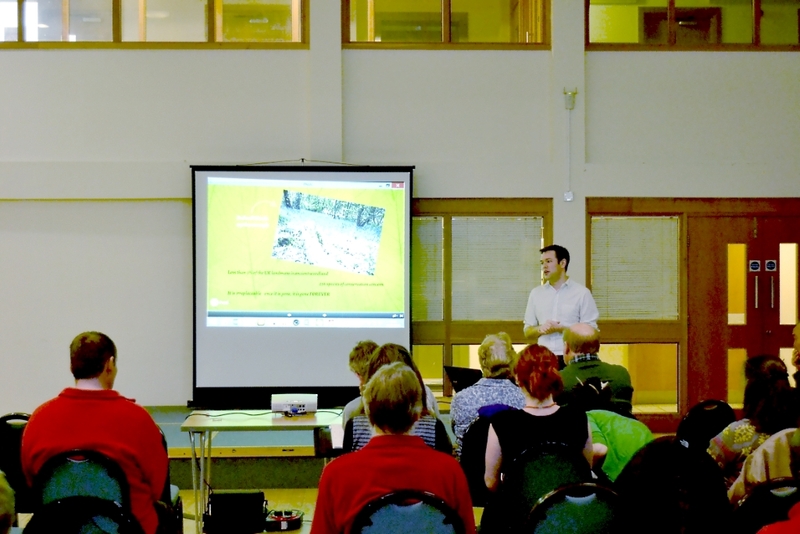 On the Saturday, talks were given by key guest speakers on different issues surrounding trees and woodlands. 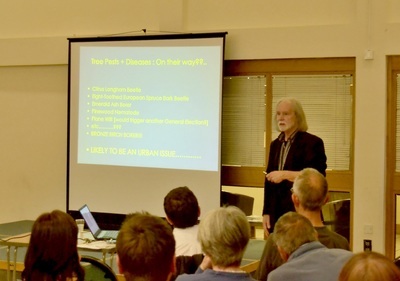 This looked particularly at urban treescapes, and their overall value to communities. 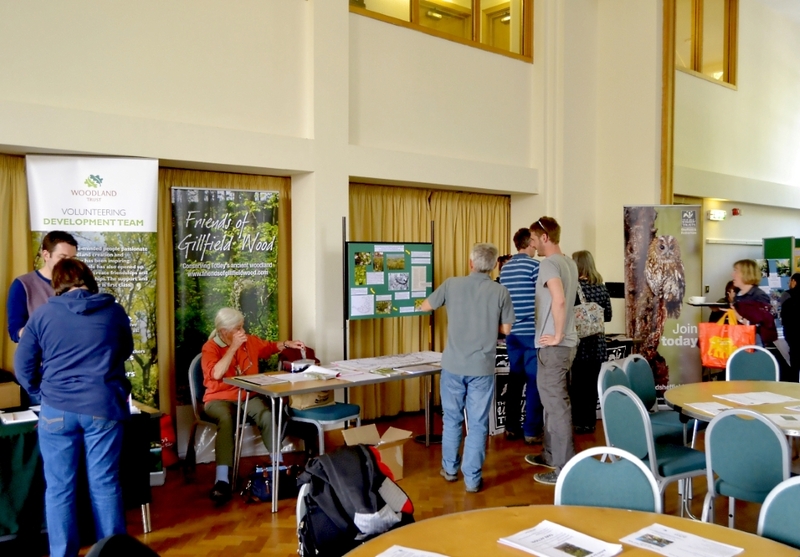 SYBRG and partners provided their poster and other displays about their Tree Stories, Shadows & Ghosts - Lost Woods, The Peak District & Sheffield Area Deer Surveys and other projects which people will be able to get involved with at a practical level. Speakers included Professor Ian Rotherham (Department of the Natural & Built Environment, Sheffield Hallam University), Professor Melvyn Jones and Professor Alan Simson (Leeds Beckett University), an international expert on valuing urban treescapes and their benefits for health. 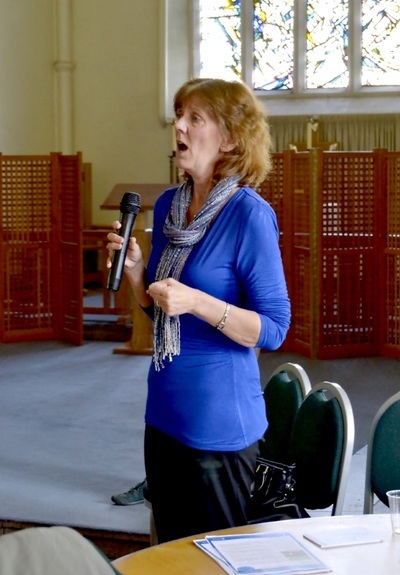 Other speakers included Ted Green and Professor Lynn Crowe of Sheffield Hallam University. 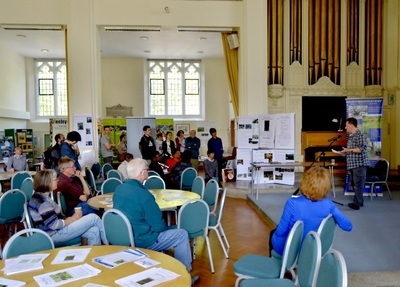 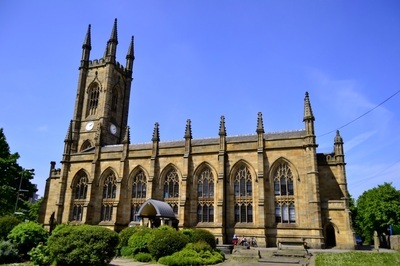 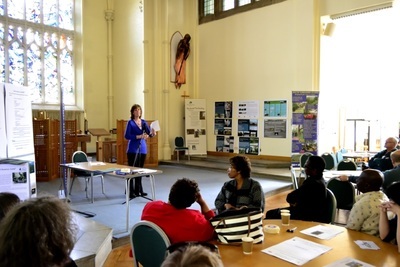 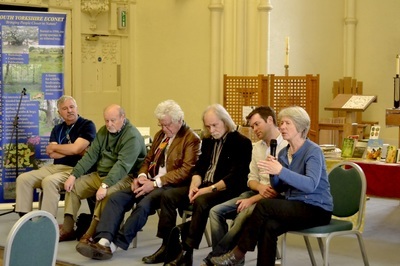 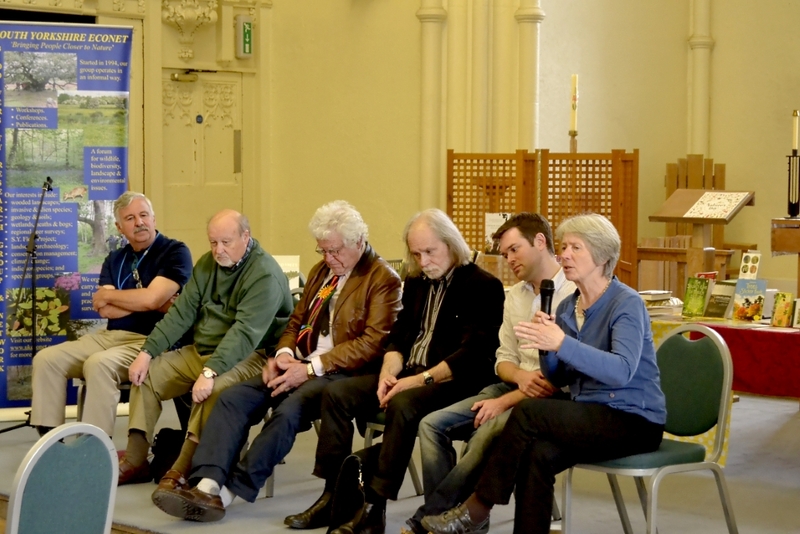 The following selection of photographs records the two-day event, which was held at St Mary's Community Centre & Church, Bramhall Lane, Sheffield on 15-16 May 2015.